When art communicates, a human experience is actively offered and actively received. Below this activity threshold there can be no art. The human crisis is always a crisis of understanding: what we genuinely understand we can do. What breaks capitalism, all that will ever break capitalism, is capitalists. The faster they run the more strain on their heart. 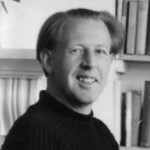 Raymond Henry Williams was a Welsh academic, novelist and critic. He was an influential figure within the New Left and in wider culture. His writings on politics, culture, the mass media and literature are a significant contribution to the Marxist critique of culture and the arts. Some 750,000 copies of his books have sold in UK editions alone and there are many translations available. His work laid the foundations for the field of cultural studies and the cultural materialist approach.